The rise in standards of living of people, lower cost of air conditioning systems and more people living in hotter climates result in increasing use of air conditioning across the world. Around 80% of the impact of air conditioning on climate results from the draw on fossil fuel-fired power plants and remaining 20% comes from the units’ refrigerants, the liquid agents, according to Cox. There is a direct relation, improving the environment by reducing the energy usage for air conditioning. The dehumidifying is the most expensive part of the process. 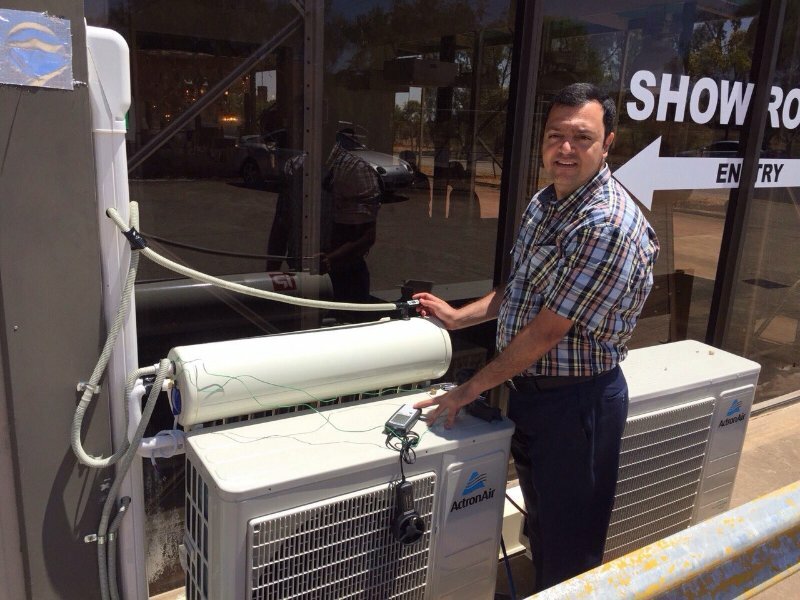 Independent Products Pty Ltd and the IP Kinetik technology, an Australian owned company, aim to reduce the energy cost of conventional air conditioning system and its environmental toll. 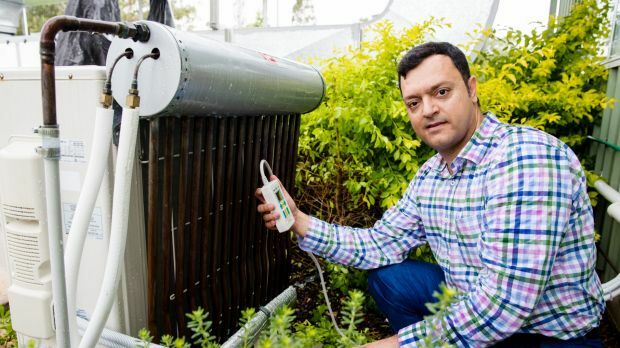 The IP Kinetik system, devised by engineer Vahid Vakiloroaya, its preconditioning converts the waste energy to real savings, which can cut energy use by air conditioners by 30 per cent. Western Sydney University, where Dr Vakiloroaya is a postdoctoral research fellow, has been running trials of IP Kinetik for two years. 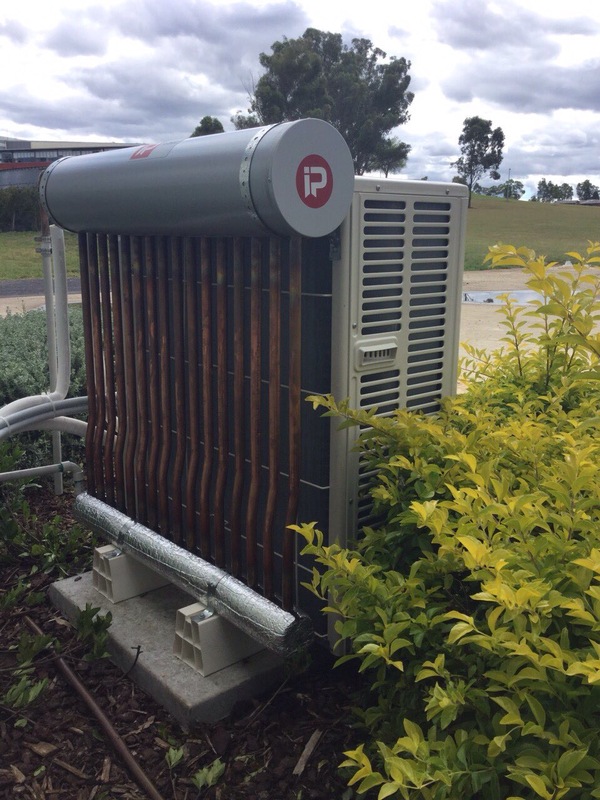 Air-conditioning systems use nearly half of a building's electricity and can produce up to 10 litres of wastewater per hour from the average 5 kW System located in QLD. The IP Kinetik system can easily fit in any existing air-conditioner that uses refrigerant gas, regardless of size or brand. How does IP Kinetik system work? 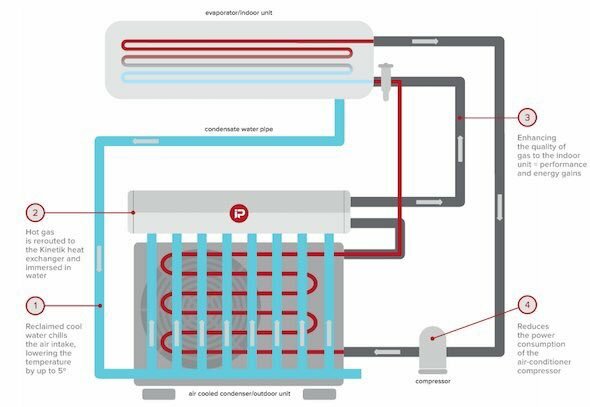 It captures wastewater and uses it to precondition incoming air and subcool refrigerant gas and results in the reduction in energy consumption & CO2 emissions, creating real savings for users and the planet. With the most effective means to remove heat being not ambient air like all conventional AC units use and have used for the last 50 years but by plunging the refrigerant (hot) gas into cold condensate water. As water will dissipate the heat more effectively than air. The flow on effect without getting too technical is that this improves efficiency and improves the “power” output of your AC unit leaving the compressor to turn on less, work less and thus use less electricity over time. The smart energy use is a key reducing peak demand, energy consumption, electricity bills and spending on infrastructure. Improving energy efficiency by just 1 percent a year would grow Australia's economy by $26 billion by 2030, said The Energy Efficiency Council. In fact, this innovative system should be implemented on all new air conditioners itself around the world and reduce the carbon footprints. Independent Products developed and refined his system, which is now used by clients including Qantas, Telstra and BHP.